Hypoxic Ischaemic Encephalopathy (HIE) occurs when the foetal brain does not receive enough oxygen. This can lead to severe impairment or death of the baby and is of course devastating for both families and staff. In some cases, timely delivery of the baby could prevent this from occurring, by acting on warning signs and appropriately escalating decisions and plans once concerns are raised. In 2015, a number of HIE cases prompted a review of the delivery process at University Hospitals of Leicester (UHL). Each case that had resulted in HIE occurred in different circumstances, and in some situations a poor outcome would have been unavoidable, but clear themes also emerged, common to all cases. These themes revolved around decision making, appropriate communication and escalation, and timing and speed to act. Whilst there had been a number of similar cases at hospitals around the country, recommendations to improve care often focussed on retraining individuals rather than addressing cultural and behavioural changes in how healthcare staff communicate with themselves and their patients. Moira Durbridge, the Director of Safety and Risk at UHL recognised that an innovative approach to this problem was required and commissioned several expert advisors to ensure that the project had a level of realism and accuracy that would not have been possible otherwise. This attention to detail has ensured that we have a reconstruction which realistically could occur within any Trust and therefore presents a fabulous educational opportunity which we hope all maternity units will use. Following the launch of the main video, we have produced a suite of supporting videos where the reconstruction is broken down and the viewer can consider in detail different aspects of the case, through the eyes of an expert in that area. In that respect we have been extremely lucky to be able to involve British Airways Pilot and Human Factors expert Martin Bromiley and patient advocate James Titcombe who sadly lost his own child through problems within the maternity department he was in. Their advice and insight into the problems staff should be aware of is invaluable. Our aim is that these supporting videos will form a thorough communications and safety culture training suite the likes of which does not exist anywhere else today. Whilst we are sure our own maternity unit will benefit from it, every unit in the country deserves access to it and we hope over the next few months this is something that we can achieve, so that avoidable HIE cases become a thing of the past. 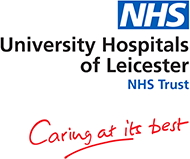 For more details on this project please contact Moira Durbridge, Director of Safety and Risk, or Tracey Harrington, Safety improvement Lead at the University Hospitals of Leicester NHS Trust. Thanks for their support and involvement in the project goes to: Dr Tapas Mukherjee, a junior doctor in Respiratory Medicine at the time of the inception of the project, Tracey-Louise Harrington who co-ordinated several key figures to come together including Acting Midwifery Matron Kerry Williams, Joan Morrissey Midwifery Matron, and Consultant Obstetrician Angie Doshani.